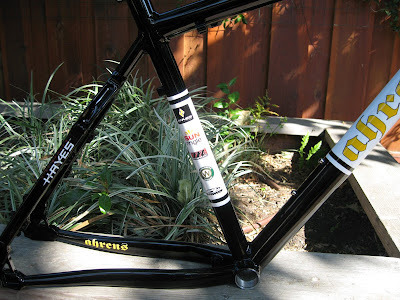 Below are pics of the Hayes Bicycle Group showcase frame. 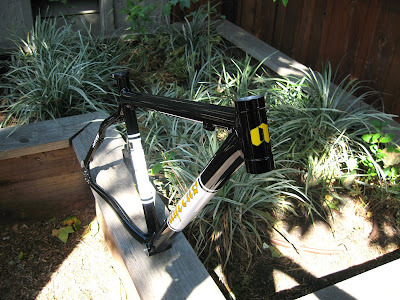 It's built from tried-and-true Easton tubing and our custom dropouts and upper yoke. 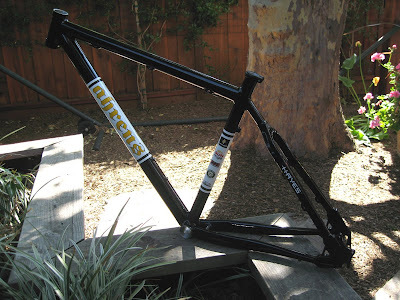 The frame will be outfitted with the latest components from HBG including Stroker brakes, Sun-Ringle wheels and Manitou R7 fork. 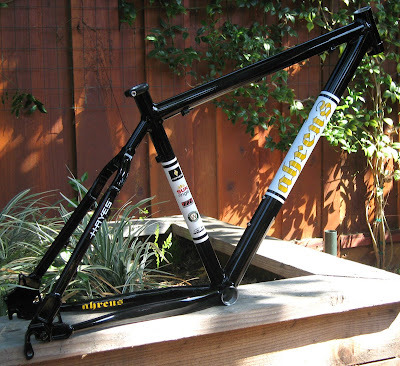 Weighing in a 3.5 lbs, this race bike is sure to turn some heads. Special thanks to VC Graphix for the custom decals.